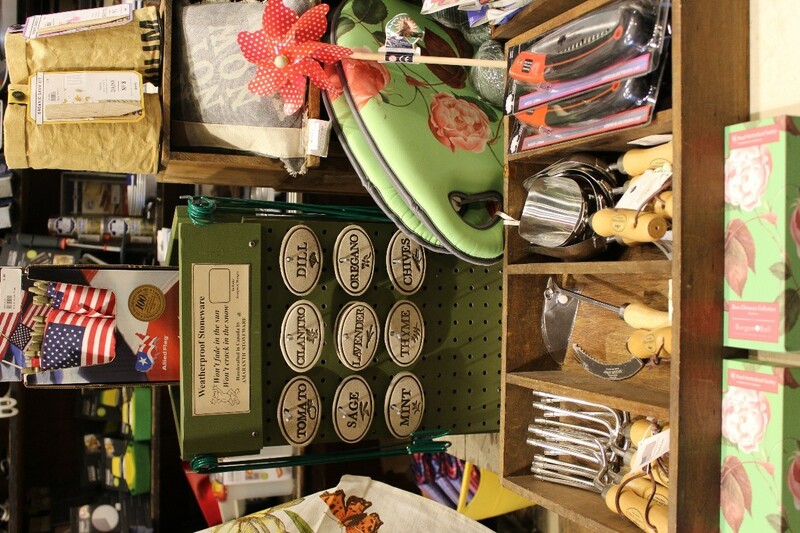 Downtown Huntsville continues to grow as a shopping destination both locally and regionally for its interesting settings and unique offerings. 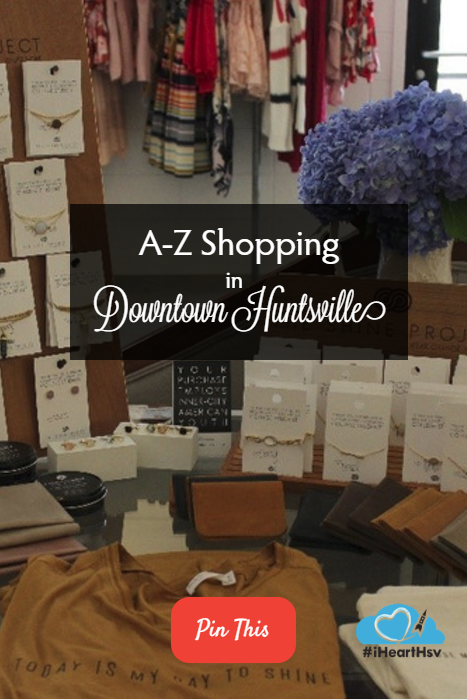 In this list, we will cover A to Z unique products you can find in Downtown Huntsville. 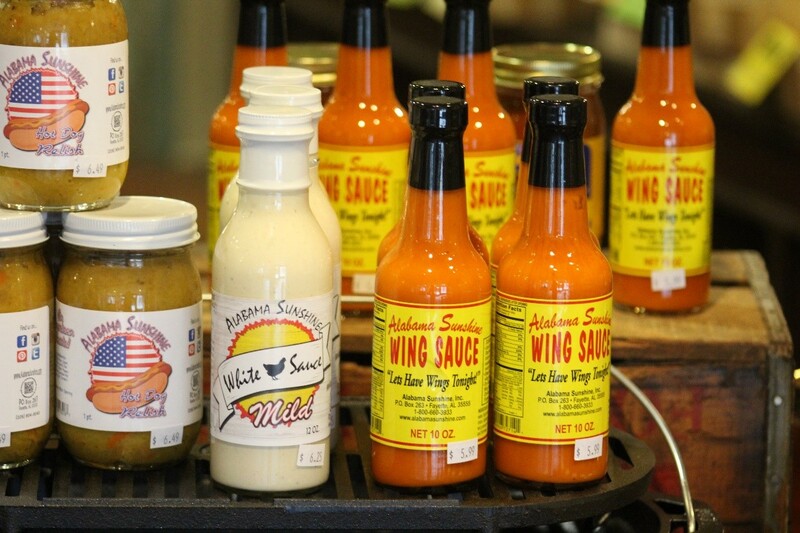 Because North Alabama is known for our famous white sauce! 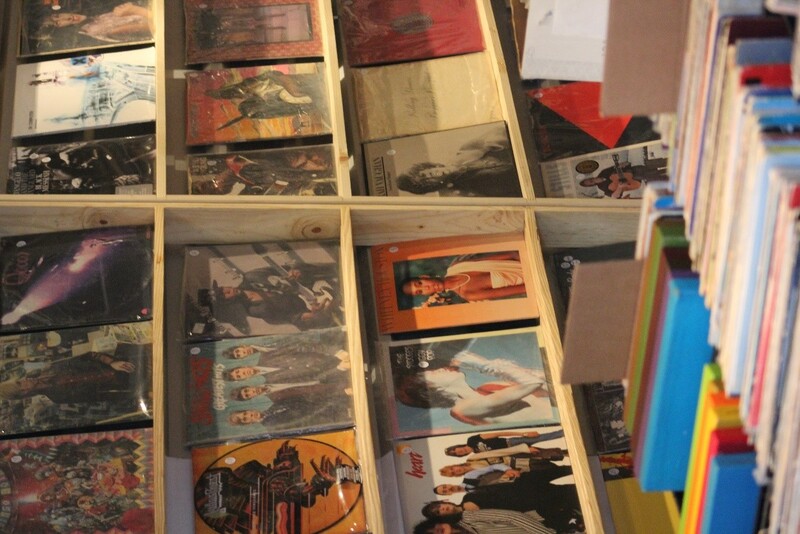 B- Billy Reid at Roosevelt & Co. 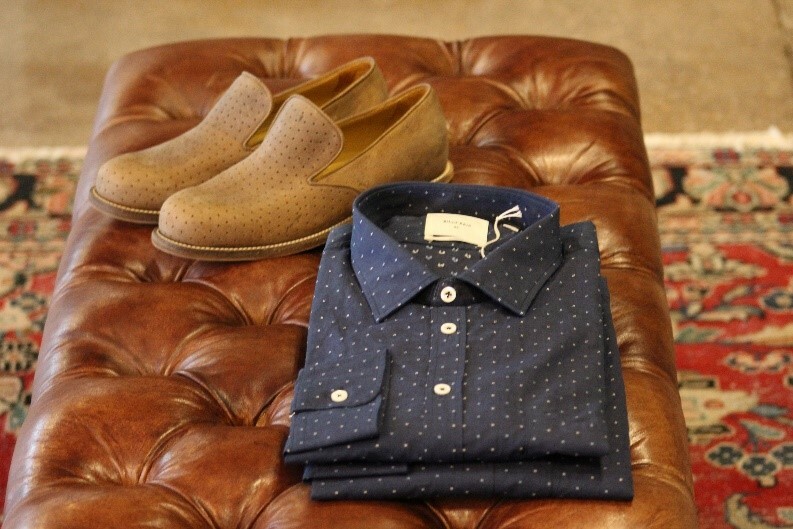 Nothing beats a sharply dressed man, and Roosevelt & Co. carries the finest in menswear. 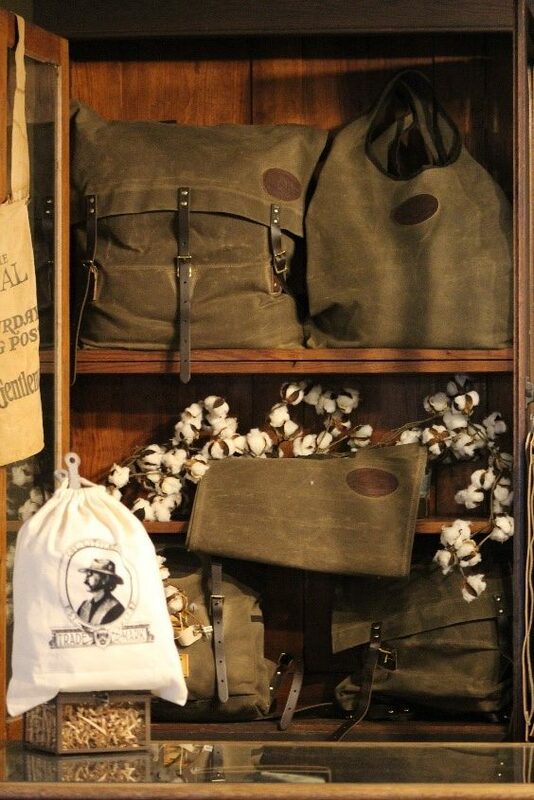 Billy Reid is an upscale line based out of Florence, AL, about an hour and a half from Downtown Huntsville. 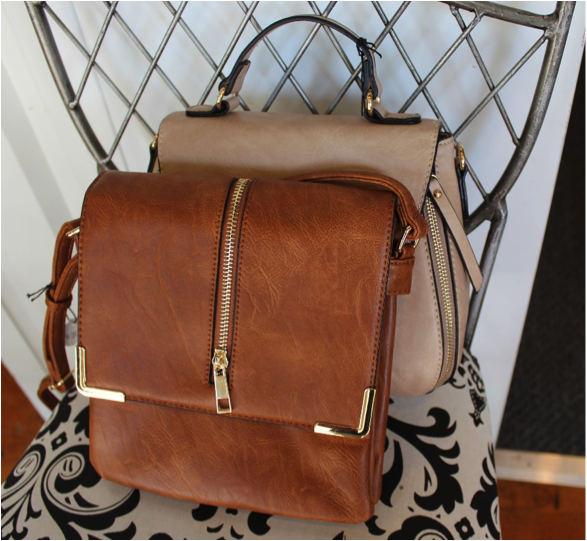 Colonel Littleton makes hand-made, high-quality leather goods such as belts, briefcases, luggage, and portfolios. 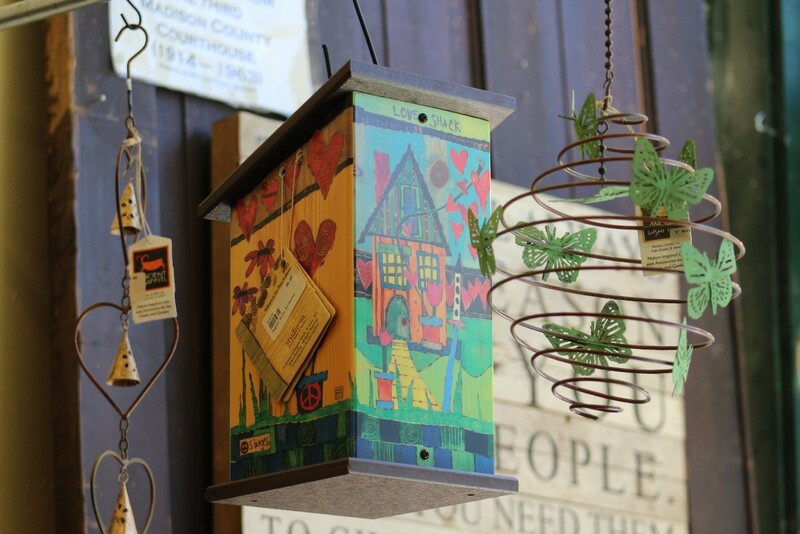 The shop is in Lynnville, TN, population 287, about an hour from Downtown Huntsville. 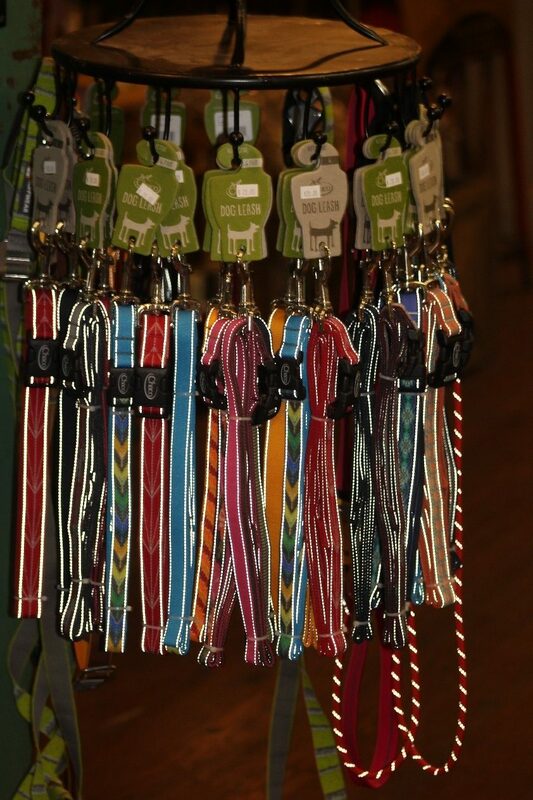 Don’t forget a souvenir for the pup while you’re out shopping. 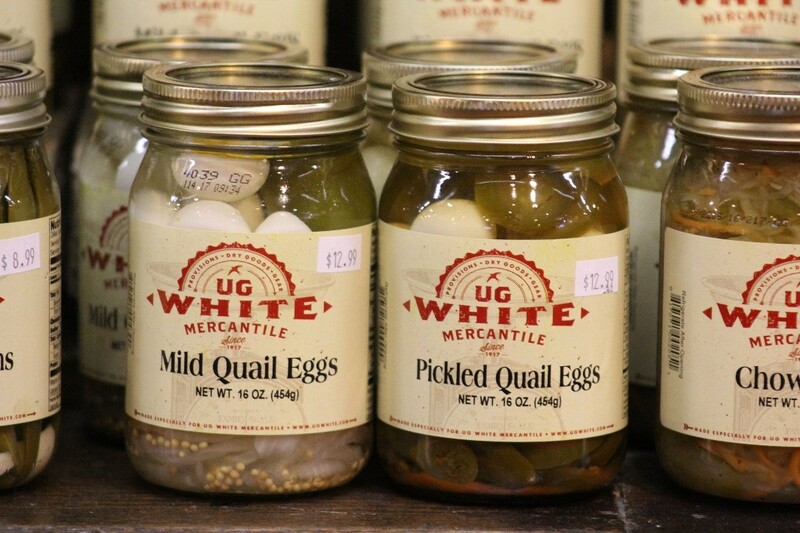 Or better yet, bring them into the store as UG White is dog friendly! They have glow in the dark collars and leashes for safety when playing at night. 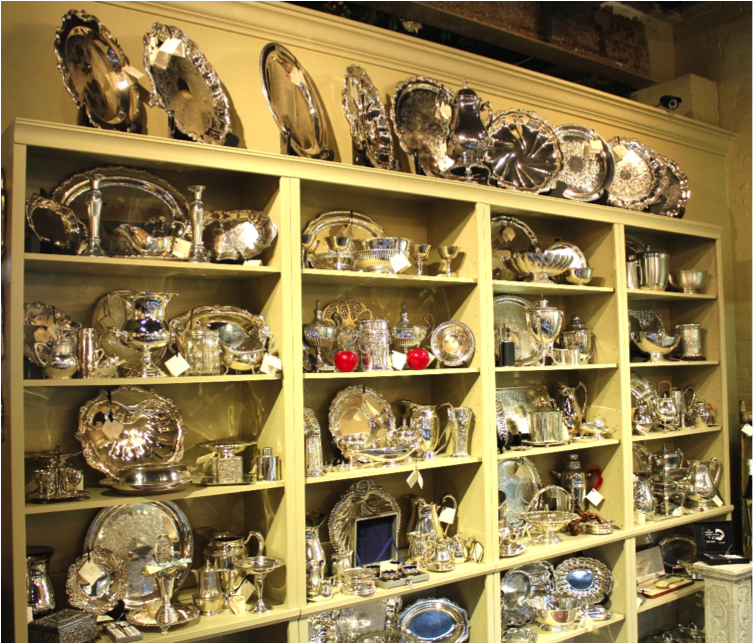 Impress your guests at the next function by serving on beautiful dishes! 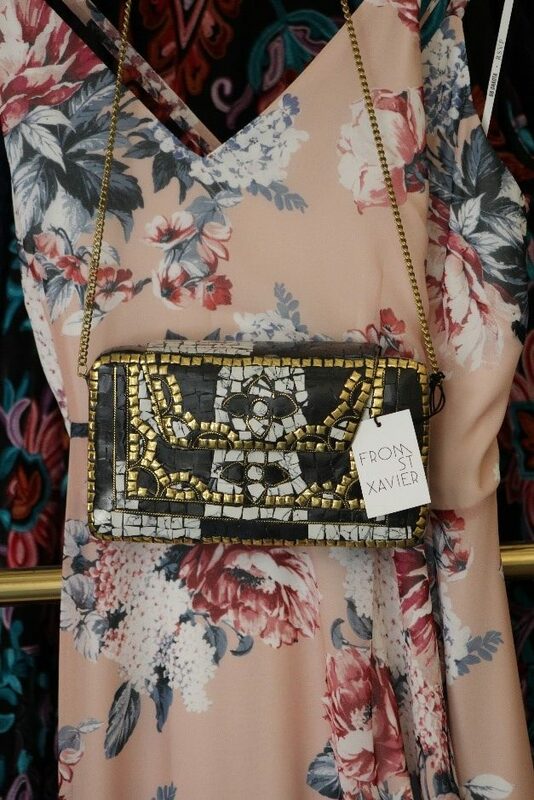 From St Xavier makes unique, hand-crafted, beaded statement bags. 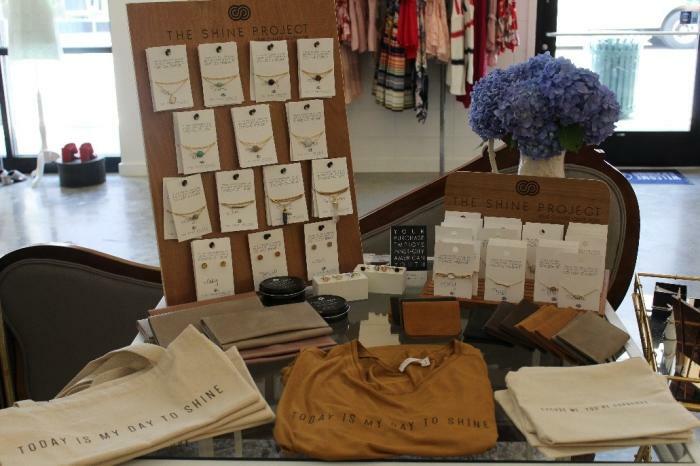 This brand from Sydney, Australia, employs and empowers women in rural India. “Home-grown” is kind of a big thing here. Check out this book sponsored by Downtown Huntsville, Inc. with a foreword from Mayor Tommy Battle. 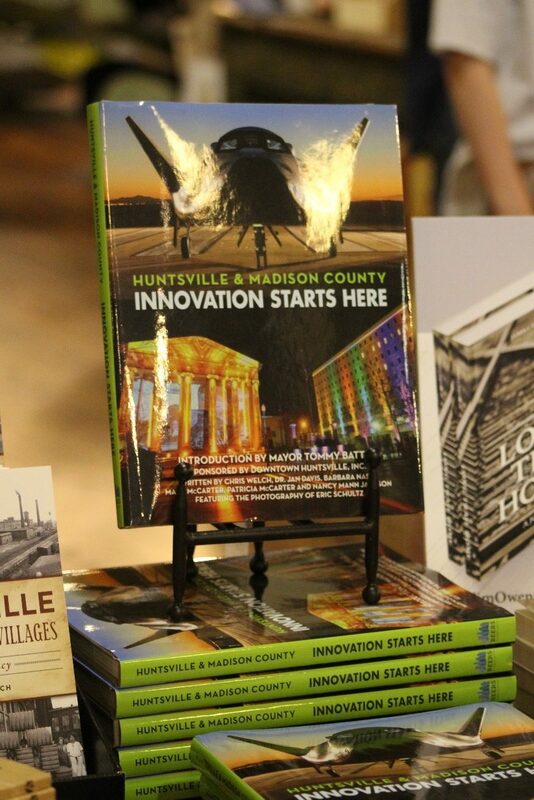 This book features some stellar images and stories about Huntsville and Madison County. Because the best ideas are caffeine-driven. 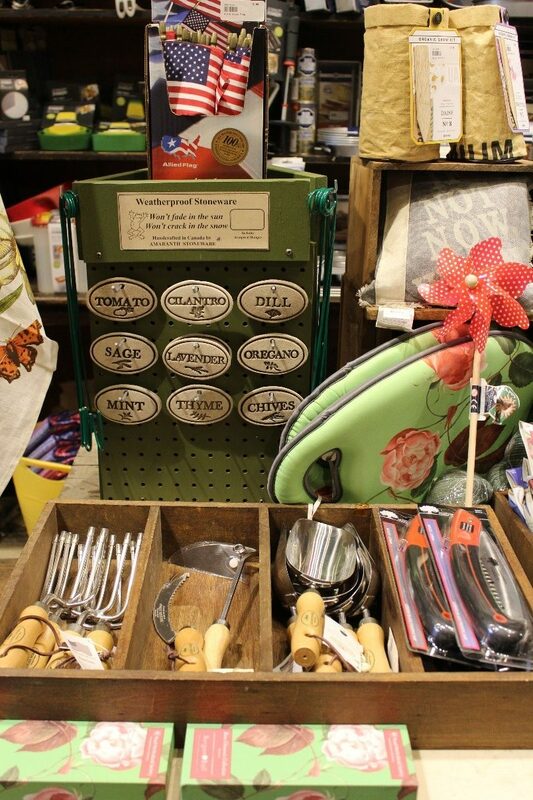 Railroad Station carries antiques and new items alike. 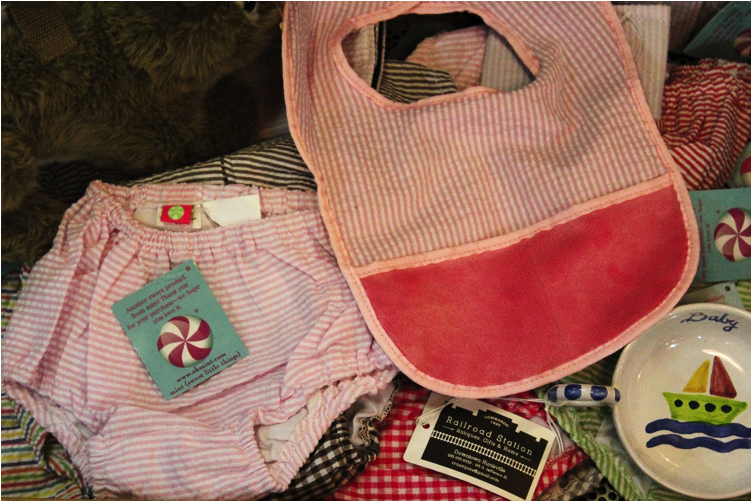 These baby bloomers are too cute to resist. 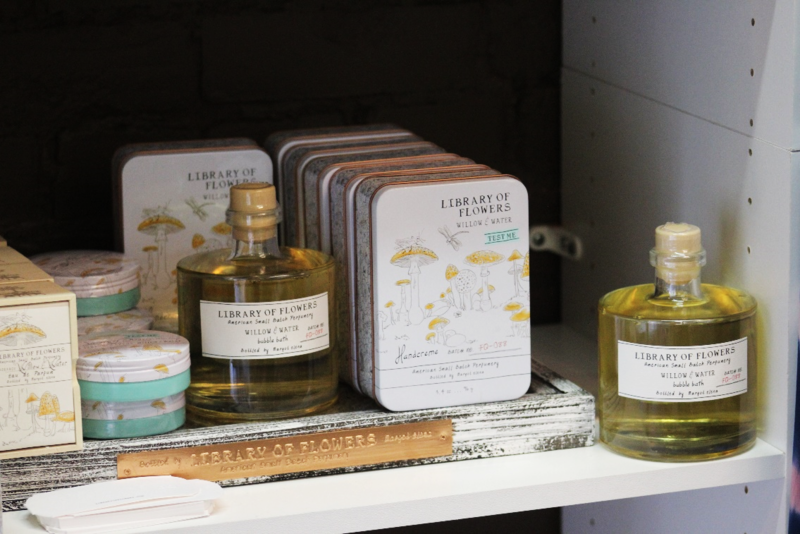 There are few places in Huntsville you can find this Denver-based perfume brand, but Boutique Station is a local boutique in Downtown Huntsville that carries it! M- Moore & Giles at Roosevelt & Co. Almost all the leather goods at Roosevelt & Co. come from Moore & Giles, a high-quality leather company based out of Virginia. 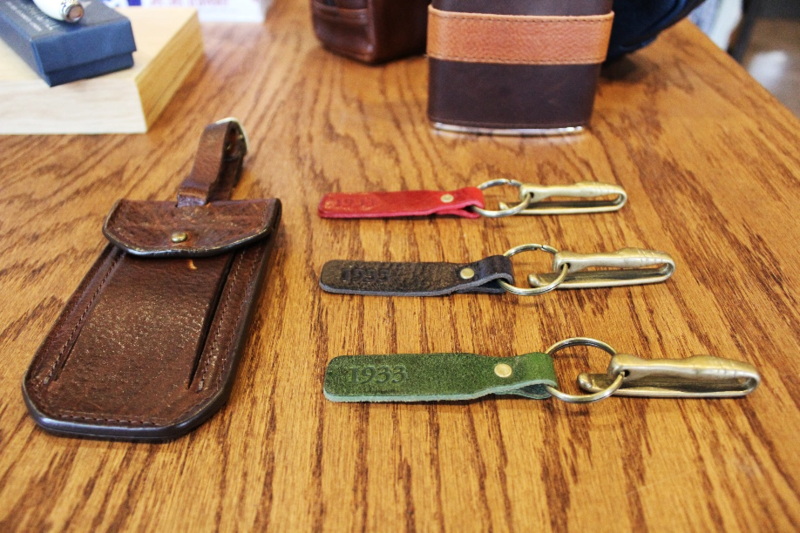 These key chains look classy and can be hung onto the side of a purse, pocket, etc. 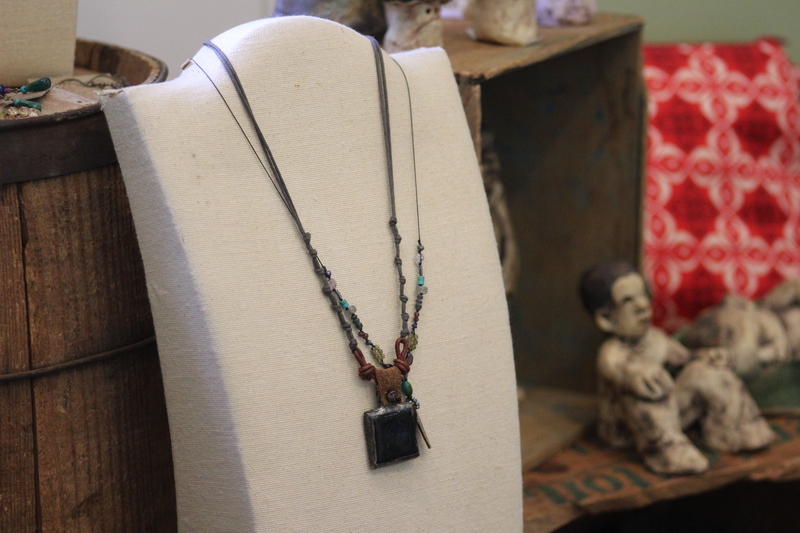 Elitaire Boutique has a great selection of Nekkid products, made right here in Huntsville, AL! 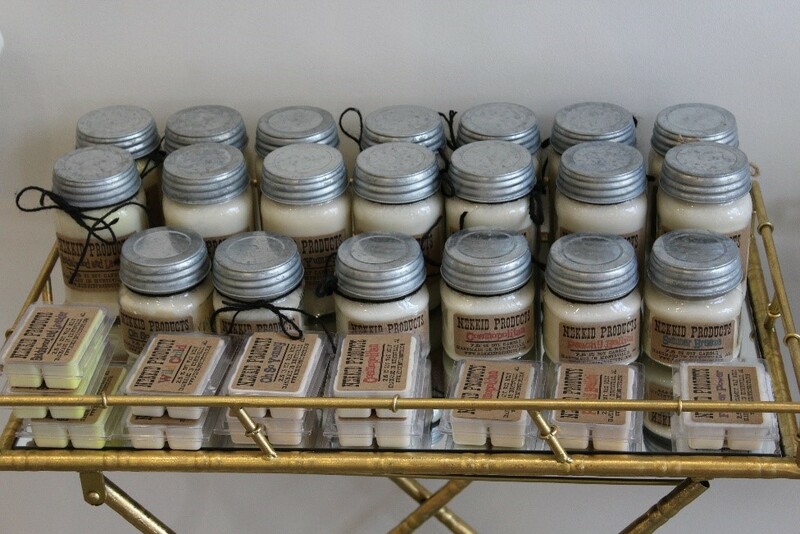 These candles are hand-made, use simple, premium ingredients, and smell heavenly. Perfect for the person who loves moisturizing and being extra. 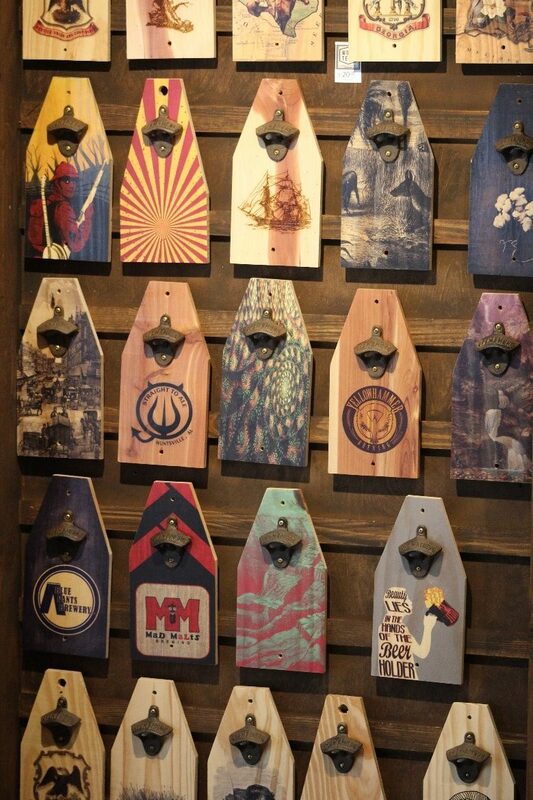 Pick your favorite images, words, logos, sports teams, etc., and Woodtech will make you your very own wall mount on cedar or pine wood! 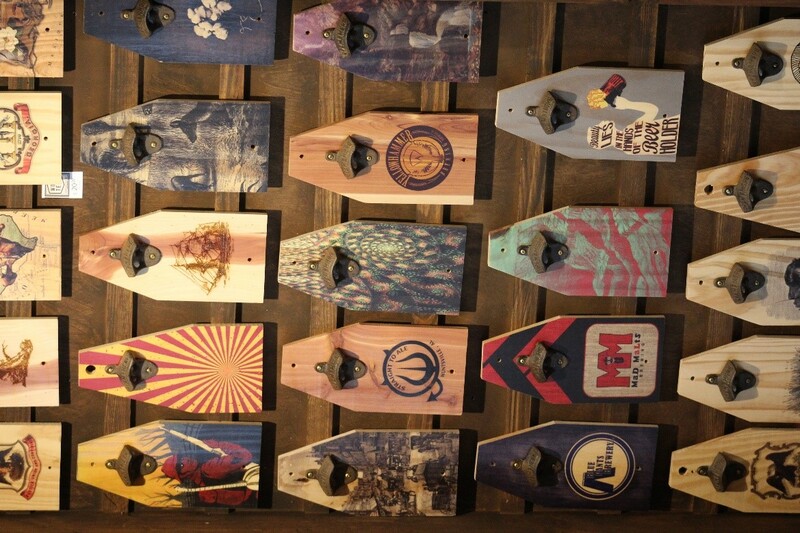 Are you brave enough to try these treats? They come in mild and spicy! 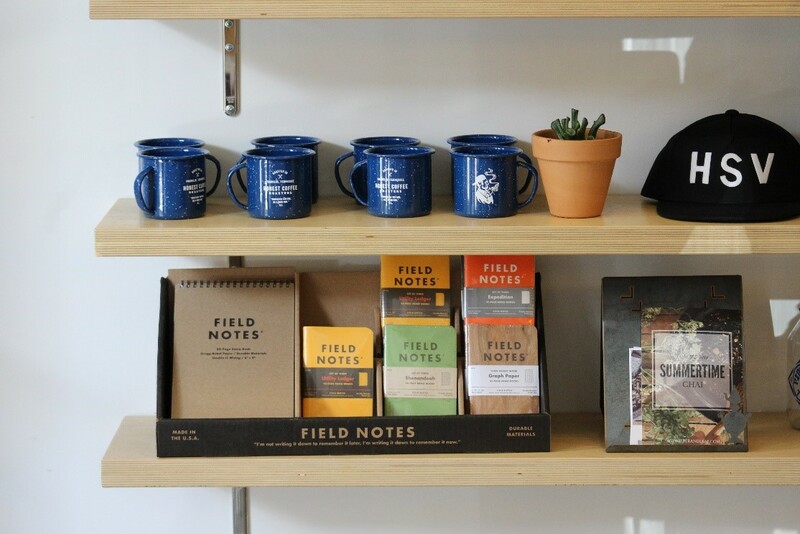 Feel good about purchasing these ethically-sourced, specialty roasted, craft coffee beans. 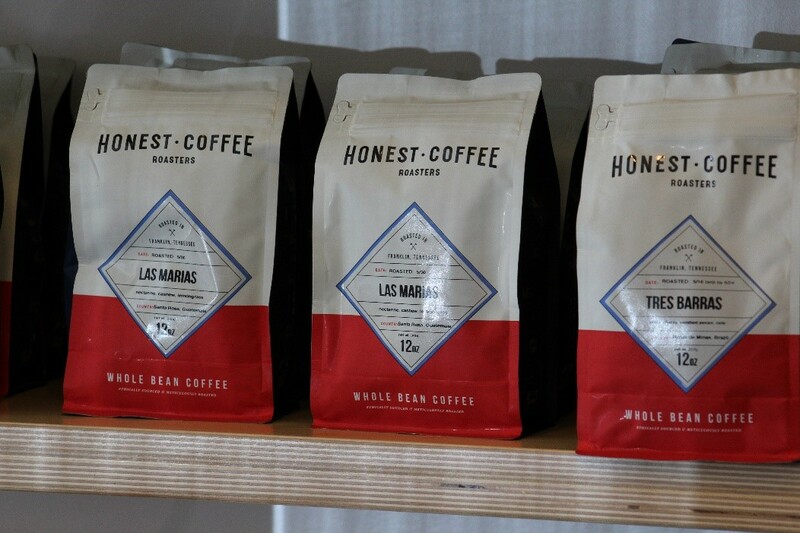 Honest Coffee’s original location and roasters are in Franklin, TN, and Downtown Huntsville is the only other current location. 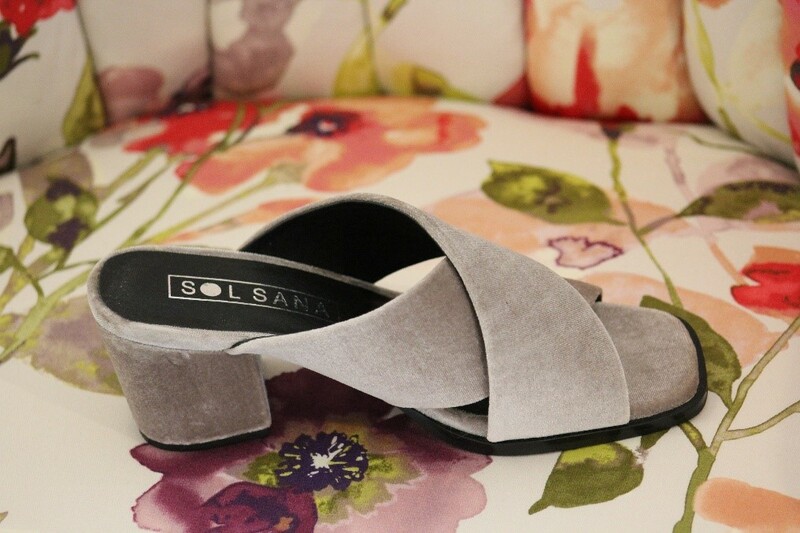 Elitaire Boutique is the only location in Alabama for you to find Sol-Sana shoes. The Australian-based women’s shoe company merges fashion and comfort at a reasonable price point. The Shine Project makes attractive jewelry, clothing, and accessories and, best of all, employs inner-city youth and helps send first-generation students to college. 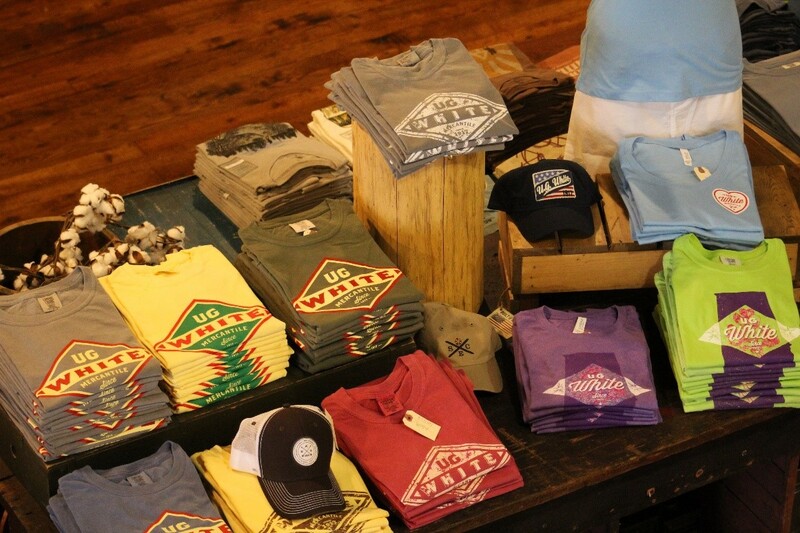 Arguably the most comfortable lounge wear to be found, and gives a nod to UG White’s historic start in Athens, AL. 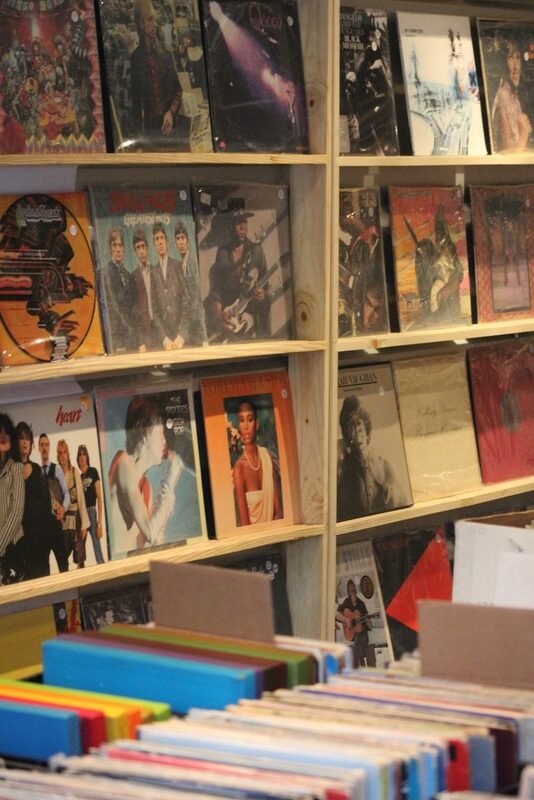 If you’re cool enough to appreciate vinyl, you should know about Echo Records, a local record store based right here in Downtown Huntsville! 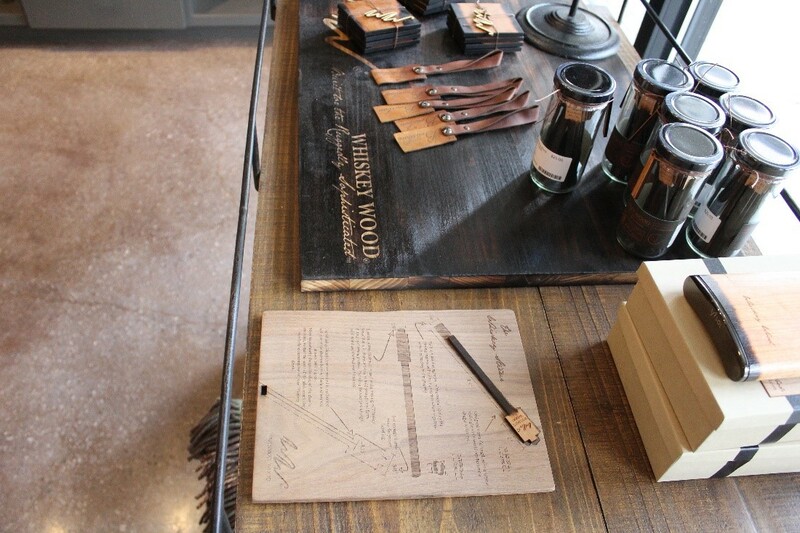 W- Whiskey Wood at Roosevelt & Co. Whiskey connoisseur points go way up with a charred wood stirrer to highlight flavors. 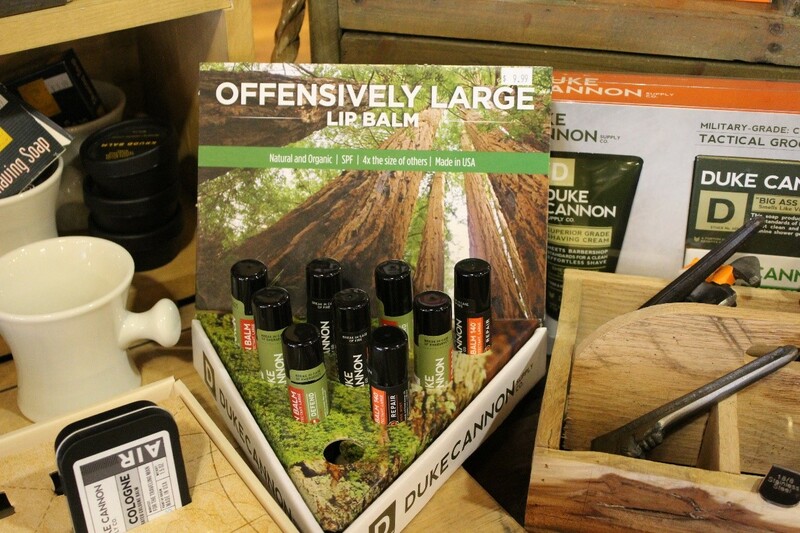 The company is based out of Nashville, an hour and a half north of Downtown Huntsville. 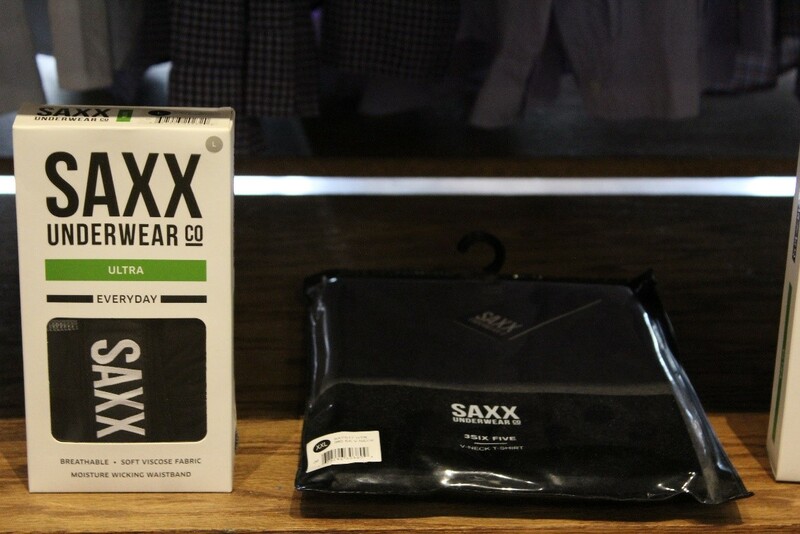 X- Saxx (yes, I know it’s a stretch) at Roosevelt & Co. I can’t speak from experience, but men swear by these underwear. Here in Huntsville, we are able to enjoy the outdoors almost year-round so the selection of yard ornaments is second to none. Downtown Huntsville, Inc. is the champion for a vibrant and economically strong Downtown Huntsville. Its members represent all stakeholder groups, including Downtown property owners, business owners, tourist attractions, business organizations, advocacy groups, neighborhood associations and residents from throughout the city.